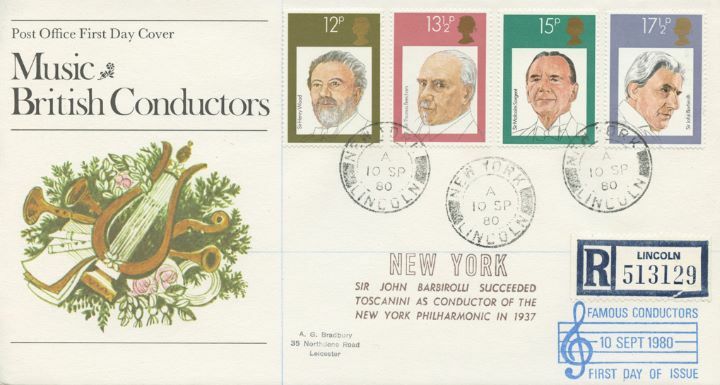 Notes: Lovely cover with three clear postmarks and 'New York - Sir John Barbirolli succeeded Toscanini as conductor of the New York Philharmonic in 1937' cachet. 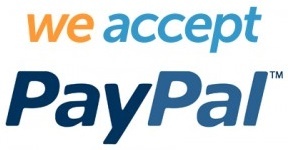 Pristine condition and unaddressed - you won't get better than this. The above Royal Mail British Conductors stamps were issued on 10 September 1980 by Royal Mail and feature the following stamp designs: 12p Sir Henry Wood; 13 1/2p Sir Thomas Beecham; 15p Sir Malcolm Sargent; 17.5p Sir John Barbirolli. The Barbirolli Conductor of the New York Philharmonic first day cover with the New York CDS Postmark postmark has been produced by Royal Mail/Post Office and features these stamps which can make a very collectible and lovely gift.